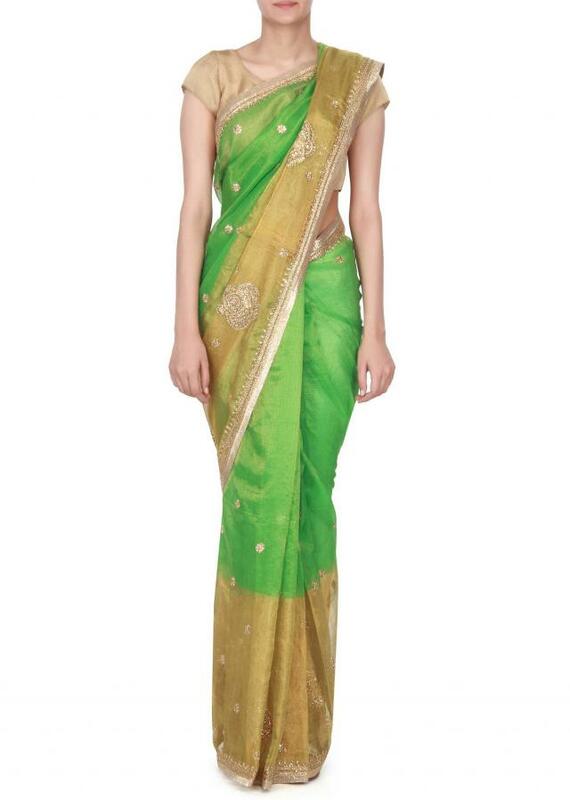 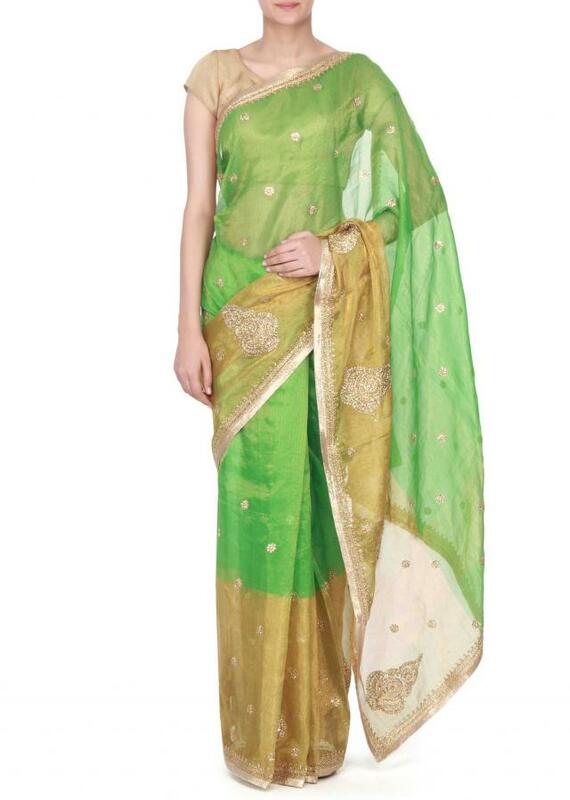 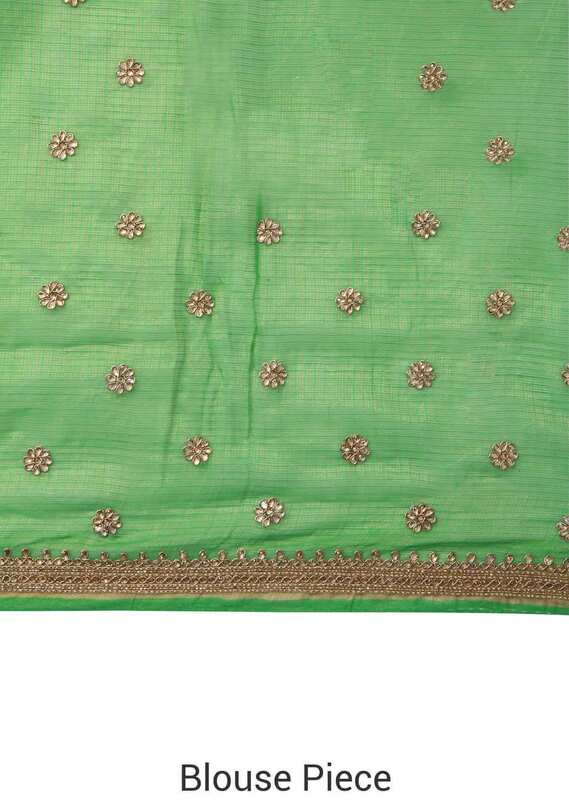 Green and gold saree featuring in chanderi silk. Its embellished in kundan and zardosi embroidered butti all over. 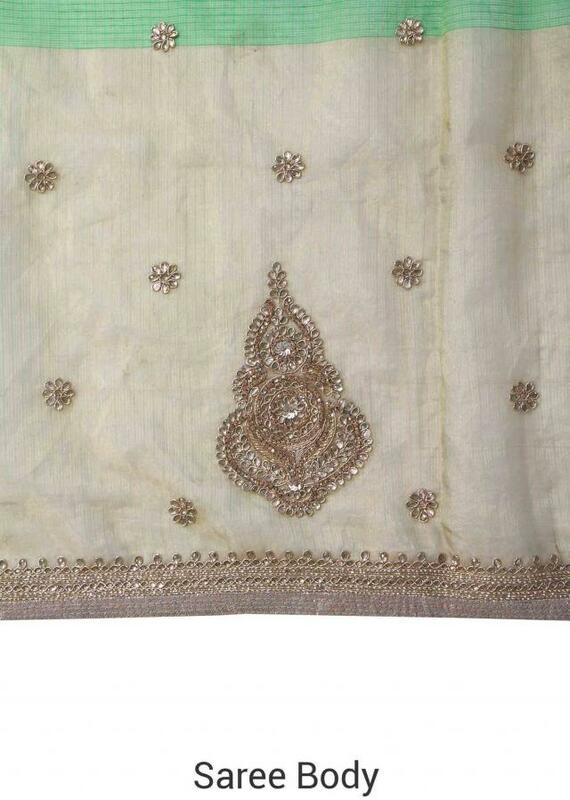 Blouse is unstitched in gold chanderi tissue.